The nation's underground facilities are used by less than 50%. The company Ukrtransgazon on 1 June got the green light to open a customs warehouse on the basis of underground gas storage facilities. 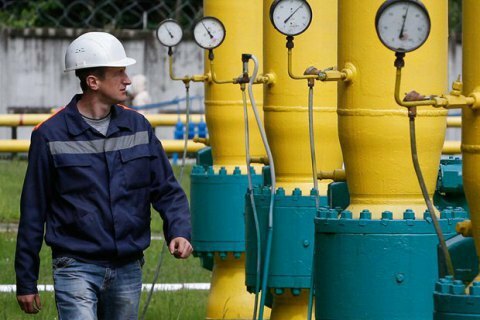 This will allow storing foreign gas in Ukraine for three years without paying taxes and customs duties, the company said in a release on 13 June. "Previously, the customs clearance of natural gas transported into the customs territory of Ukraine for storage in underground storage facilities can be carried out only in the "transit" customs regime. The Customs Code of Ukraine sets the term of gas transit through pipelines at 31 hours. Such conditions were not economically viable for most foreign gas traders," the company said. "From now on, customs clearance of the gas to be supplied from abroad for storage in Ukrainian UGS's is carried out in the "customs warehouse" regime. The creation of such a warehouse allows companies, including foreign ones, to store gas in Ukraine for up to 1095 days without paying any taxes and customs duties during the re-export of gas from the territory of Ukraine." The work on this customs mechanism has been going on for a year. "Ukraine has removed the last legal barriers regarding the provision of services to non-resident companies willing to store their natural gas in underground storage facilities," Ukrtransgaz said. The total volume of gas storage facilities in Ukraine is at 31 billion cubic meters, but they are used less than 50% in recent years. At the same time, the neighbors of Ukraine - Poland, Hungary, Romania, Slovakia, Moldova feel shortage of gas storage facilities. Ukraine is ready to provide 14 billion cubic meters of its storage facilities for foreign customers at a price of about 0.4 euro per MW per storage cycle. The introduction of the new service will increase revenues from gas storage and, accordingly, deductions to the state budget of Ukraine, the company said.